Klipsch Reference lightweight earphones can make listening to every song pleasurable, convenient, and comfortable. These earbuds have an in-ear fit as a design. They feature noise isolation and noise cancellation. The headphones are wired, and the connectors are approximately 1/8 inch. 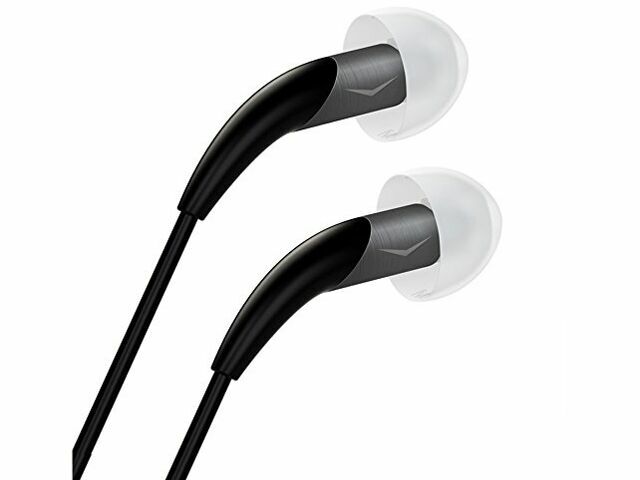 These Klipsch earbuds offer a rich, robust sound and are great for portable listening. If you want more bass, or any other tones to pop, then these are good with equalizing. For my taste, I am leaving flat for now. I found that for my phone I can hear the normal static clearer when there is almost silence in music, but from the phone. So these are true more for an audiophile. Best earbuds to date compared to my dead S4s and ergofits...not much to base it on but all others I've had are not even worth to mention. If you find at $80 or below...go for it! I owned X10 before and this is the follow up model. They are mostly identical, with minor differences. X10's wire is thinner but surprisingly it didn't break after the past several years. The plug of X10 is bent while X11 is straight -- I consider it's a minor plus of X10 since there are tight jack sockets out there sometimes and the bend helps a little bit. Sound quality wise they are identical to me. The X11 sounds slightly harsher now but I think that's because it needs break in time. All in all I like the design since it's super light weight and the earphones gets in and out of ear canal easily thanks to the oval-shaped soft silicon caps. The tone is pretty natural to me but I won't use it for critical listening in a music studio. For daily use it's a 10/10. sound is good,sweet and detailed.